You can't beat a choir at Christmas can you? 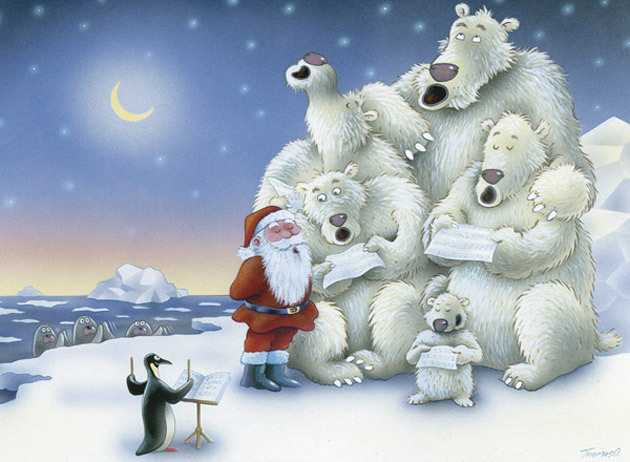 We are not sure what Gareth Malone OBE, English choirmaster and broadcaster would make of Santa with his 'polar bear choir', but this a lovely heart warming design! This personalised charity Christmas card is finished with high gloss. By purchasing the The Choir Christmas card 10p for each card you purchase will be Donated to the Charity of your choice from the Charities listed below.